As experts of in-building wireless communications, Spectralink has purpose-built our solutions for the modern enterprise. And as enterprise phones and applications evolve and as your customer’s organizations grow, our solutions are smart enough to interoperate with Cisco platforms, giving you the freedom to adapt the mobile solution you introduce and implement to meet your companies needs and Cisco’ future technology advancements. 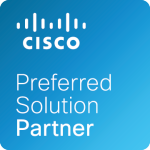 Spectralink Wi-Fi and DECT solutions are now part of the Cisco SolutionsPlus program. That means you can start offering your customers the best enterprise mobility solutions that will empower their mobile workforce, enabling their employees to do their jobs more efficiently. Not only can you provide an enterprise-grade DECT solution to your customers, you will become a one stop shop for all their communications needs. Now, Cisco has also introduced the PIVOT:SC handset, the superior enterprise smartphone, on Andriod™ platform, that has become acknowledged for its ease of use, ergonomic design, and seamless Voice over Wi-Fi (VoWi-Fi) roaming voice quality. The relationship between Cisco and Spectralink has strengthened to offer a comprehensive and diverse portfolio. 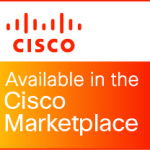 Our latest offering includes the Spectralink PIVOT:SC (8744), DECT Servers, handsets, accessories and support, all available directly from the Cisco Global Price List. As a Cisco Solutions Partner, we can help you solve everyday problems through the support and provision of communication solutions to mobile workers, ensuring long-term business success for all.